Before their arrest last October, police allege Allan Rodney and Shontal Vaupotic were smugglers. The truck they drove and the road they travelled for a major Western Canadian drug trafficking operation were their conduit to a highly addictive drug Winnipeggers are importing in droves. Allan Rodney was never alone on the open road, police allege — bags of illicit drugs were treated like his passengers. Court records say Rodney, a 72-year-old long-haul trucker from Surrey, B.C., made frequent trips into Winnipeg over a period of months to unload the legal freight he was supposed to ship — and the illicit drugs he wasn't. 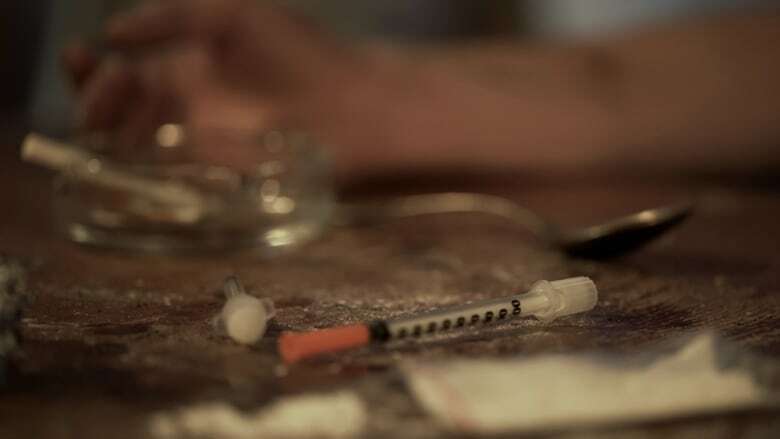 Police believe such trips are a snapshot of how the methamphetamine infiltrating Winnipeg's streets has arrived here — a problem one former gang investigator says is akin to a flood police are trying to stop with a finger in a dike. Rodney, along with fellow driver Shontal Vaupotic, 32, would travel more than 2,000 kilometres each way, like a team, the court records allege. They usually travelled to the Prairie city once a week, sometimes twice. On rare occasions, they'd visit Winnipeg using the semi-trailer of their legitimate employer with nothing but illicit drugs to deliver, the documents say. Before their arrest last October after a 10-month investigation dubbed Project Riverbank, police allege Rodney and Vaupotic were smugglers — part of what investigators say was a major western Canadian drug-trafficking operation shipping a cheap, highly addictive drug that's being brought into Winnipeg in disturbing quantities. The drug's proliferation has been tied to a disturbing spike in crime and violence that underscores the strain police and emergency services are facing. Unlike a decade ago, when the drug's presence in the city was comparatively small, the meth now sold in Winnipeg is mostly manufactured elsewhere, which means it's being brought into the city — somehow. You name the mode of transportation and it's probably being used, says Insp. Max Waddell of the Winnipeg Police Service's organized crime unit. "That's to elude detection," he said. "If they're always changing their game, it makes it very difficult for us to just focus or concentrate on one particular method." He previously called the dismantling of what police say was a sophisticated smuggling ring through Project Riverbank a major blow to the city's drug supply. The operation resulted in the seizure of nearly $3 million worth of drugs and other property, including a semi. Eleven people were arrested and face more than 160 charges. Police believe much of the city's methamphetamine is concocted by Mexican drug cartels, Waddell said. The product is shipped along the West Coast toward the United States, and then enters British Columbia by land, sea or air. It is then transported east toward centres like Winnipeg. The United States has tracked the production of meth in that country, and the Drug Enforcement Administration notes that while most of the U.S. supply is smuggled in through Mexico, domestic production last year reached its lowest level since 2000. 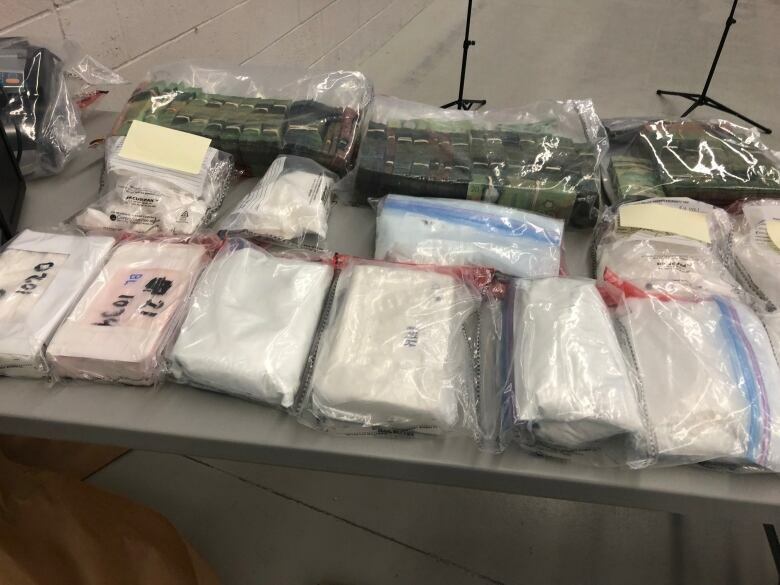 In Canada, meth is being imported and distributed by networks of organized criminals who know what they're doing, police say. "They have channels and they've established themselves, no different than a company that is across Western Canada," Waddell said. "It's the same principle." "From our sources and our intelligence, the majority comes from British Columbia and then comes east to Manitoba," Waddell said, but some makes its way through Ontario from the east. Doug Spencer, a former gang investigator with the Vancouver Police Department, said his city is a hotspot for the distribution of drugs. He said trying to impede that flow is an onerous task. "It's like trying to put your finger on a hole in a dam. There's just so many ways they can get it in, right? They smuggle it inside human beings as well." He said Vancouver gangsters have to look elsewhere to sell because the city is oversaturated with opioids. That could explain the ring Project Riverbank busted, Spencer said. The alleged ringleader, Mohammad Khan, has ties with the Independent Soldiers street gang in B.C. and the Wolfpack — an alliance of the Independent Soldiers, Hells Angels and Red Scorpions, court records say. Spencer said police in the Prairies have thankfully established interdiction units to catch drug smugglers en route. "A single young male by himself from Vancouver, driving a motorhome out to Manitoba a couple of times a month — you don't have to be a policeman to figure out something's going on," he said. "It's investigating, it's being a police officer, being sharp and picking that stuff off. But … you're not even barely scratching the surface." Drug mules often cross provincial boundaries without any impediment, Spencer says. "There's nobody there. There's no checks there." The transformation of big-rig drivers into smugglers brings disrepute to the trucking industry, said Manan Gupta, who runs Road Today — a national trucking publication primarily catering to the South Asian community. He isn't surprised that criminals have infiltrated the trucking industry. Sometimes, drivers are unwittingly drawn into smuggling, but often greed, money troubles or their own naivety are to blame, he said. "Many scenarios, you know, people know what they're doing," he said. "They just get caught at the wrong time and the wrong place." Gupta said newcomers to the country are more susceptible to the charms of experienced drug traffickers. Before long, they're doing the bidding of criminals and they're trapped. In a number of Canadian court cases involving drug importation, however, defence attorneys have maintained their clients were blind to the illicit cargo discreetly stored in their freight. Waddell finds that explanation hard to believe. "I don't believe anyone is fully forced to be carriers of these illicit drugs. They're doing it likely for the same reason that drug dealers are in business: it's to make profits." And money is directly behind the rise in meth use in Winnipeg, he said, with the price of the drug cratering from $60,000 per kilogram in 2016 to around $17,000 today. Since it's so cheap, local dealers don't bother with homemade recipes. "You avoid less detection if you can just purchase the product at such a low cost than to try and elude police and try [to] figure out how to manufacture this product," Waddell said. ​Mitch Bourbonniere runs a program called Ogijita Pimatiswin Kinamatwin, which works to help at-risk Winnipeggers stay out of gangs. He says dealers are following the principle they can sell in volume by selling cheap. "If you just lower your prices and make the money off of volume, you're going to make it," he said. Like Waddell, the social worker says there are many lone agents doling out meth who aren't otherwise engaged in the drug trade. They've found an opening in the industry because the demand is so high, Bourbonniere said. He's frustrated there are few means to prevent meth from entering Winnipeg. If he had his way, the justice system would mete out stronger penalties against convicted smugglers and dealers. 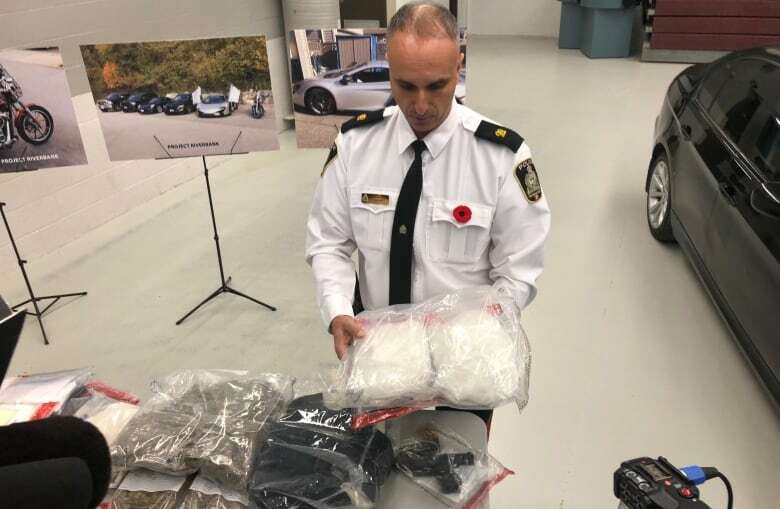 "So much traffic comes in and out of our province, it would be impossible to track all of that for law enforcement," he said. "Even the odd time that the vehicles are intercepted, it's a small fraction of probably what's coming and going."